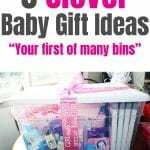 Looking for a fun way to give a baby shower gift? Since we are in the midst of “baby season,” … meaning everyone is having babies, I have been privy to some pretty cool baby shower gifts! My friends are pretty creative friends. Checkout this beautiful sprinkle they through me for baby Lainey in February. One of my best friends is super crafty and came up with the next two diaper cakes. 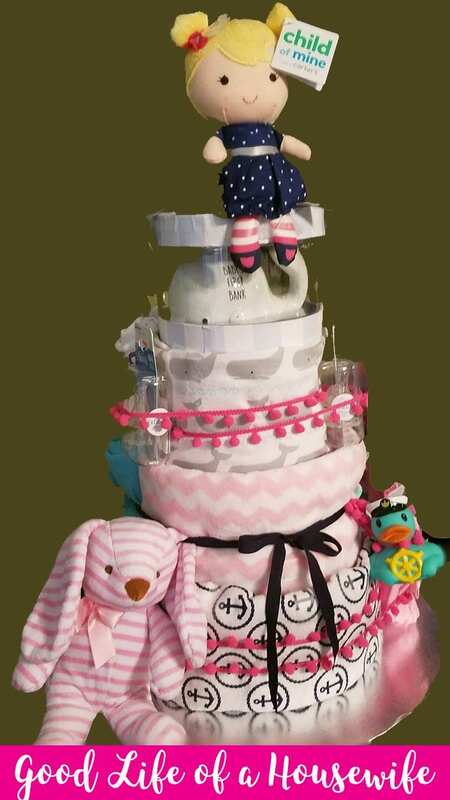 To take the diaper cake to the next level she wrapped crib sheets around the tiers of diapers. Next, she tied ribbon around each tier so she could string accessories through, like pacifiers, clothes and rubber duckies. 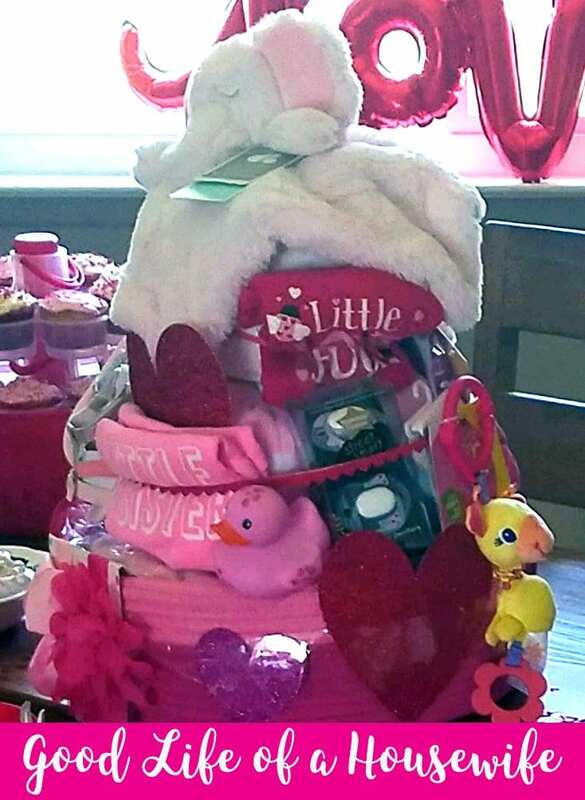 A pink diaper cake was made for Lainey, my almost-Valentine’s-baby. First, my bestie put a cloth bin at the bottom to hold all of the diapers. After, she then layered it with more diapers wrapped in blankets. 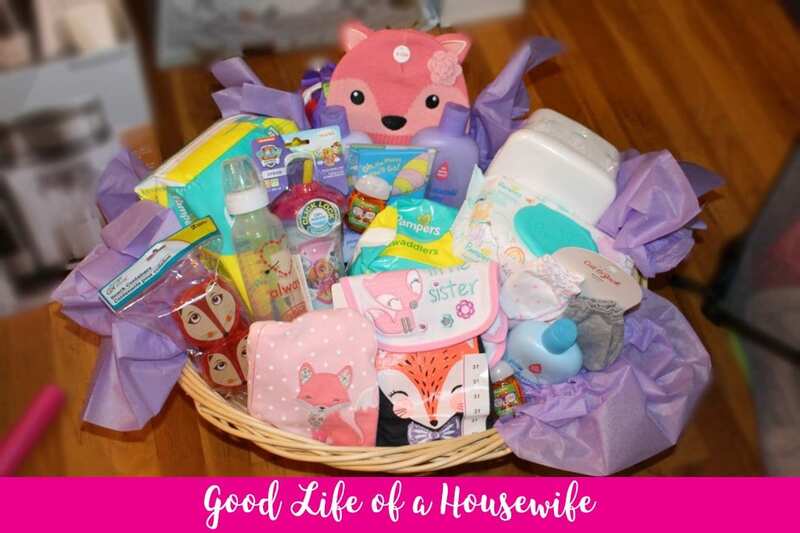 Like with the previous diaper cake, ribbons were wrapped around each layer to tuck in adorable clothes, toys and baby supplies. Another friend made this adorable flower themed diaper basket. At the bottom was tons of rolled baby diapers secured with clear elastics. 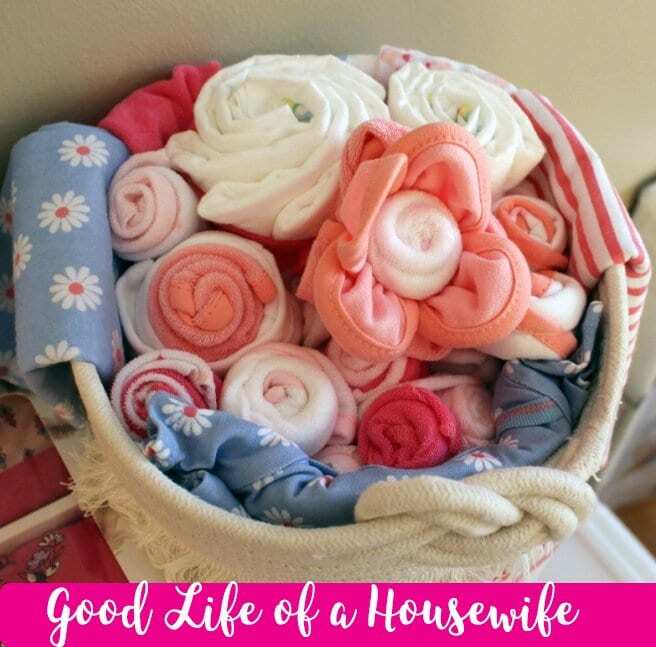 On top of the diapers, burp cloths and wash cloths were tightly rolled to look like little flowers. She layered two or more cloths to give them dimension. Flower burp clothes and onsies added to the theme. I love getting creative but sometimes I don’t love all of the minutiae that goes into the process. For this particular gift, I loaded up all of the baby supplies in a big plastic bin. Inside the bin was her “big gift,” multiple organizational storage cubes. 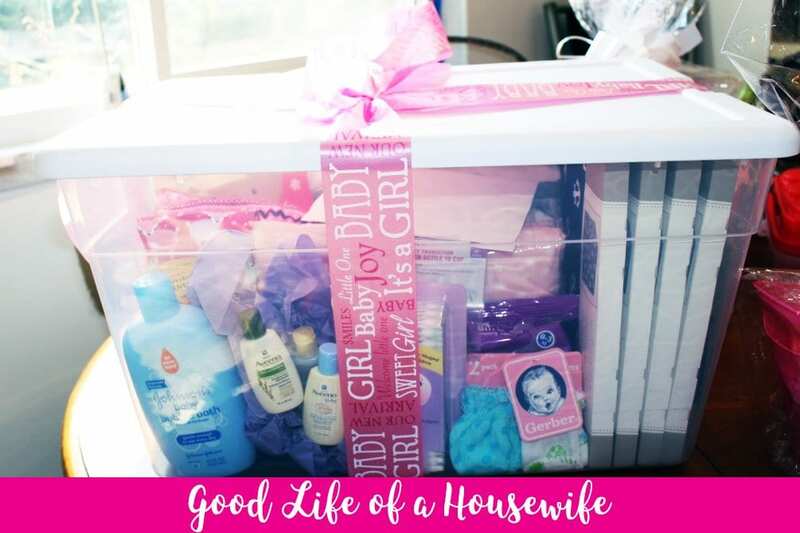 Finally, a laundry basket is another fun way to deliver gifts for a baby. This particular one was being “returned” to my friend, but I still had fun filling it none the less. I made this gift in the height of my couponing. Most of these items I acquired for free throughout the year leading up to her shower. 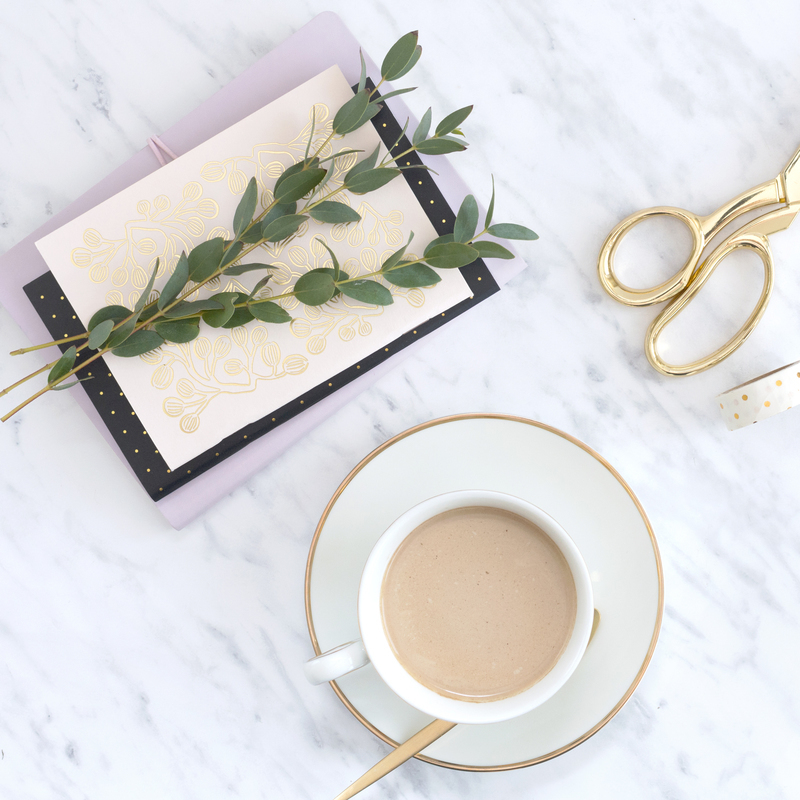 Previous Post How much time does it takes to start a profitable blog?